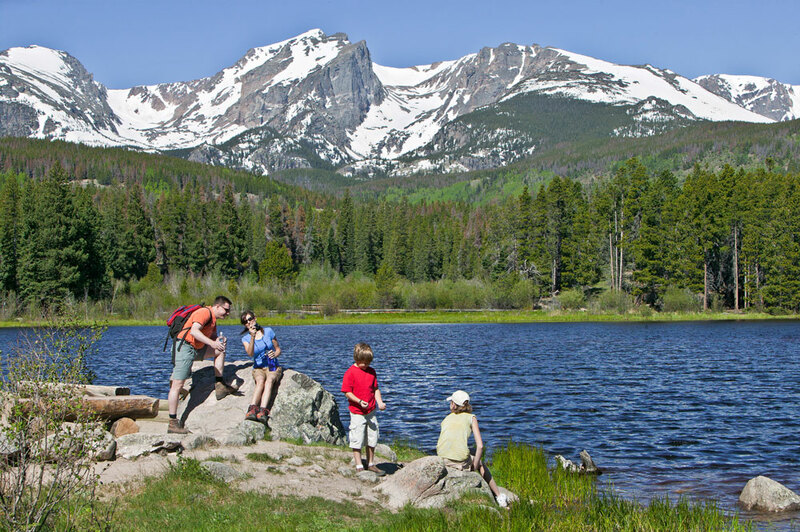 Estes Park and neighboring Rocky Mountain National Park are two of Colorado's top destinations for families and lovers of scenic beauty. 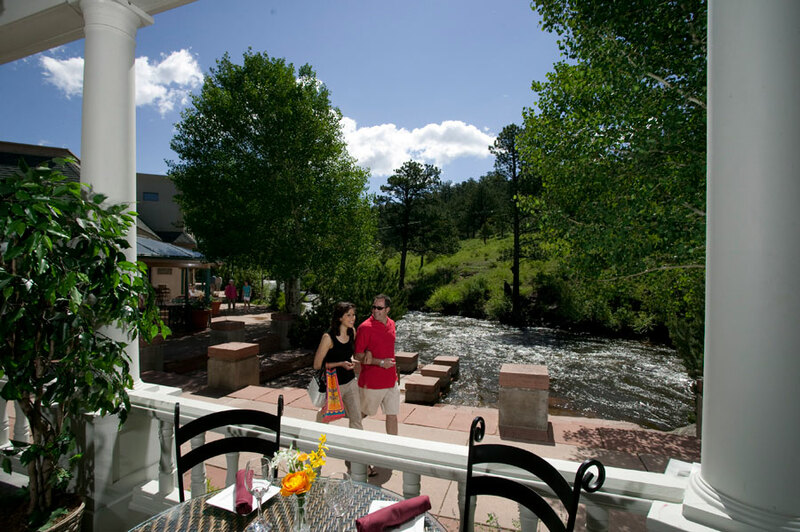 Spend a day exploring Estes' main street and the natural glories of the Colorado Rockies. One of the most popular parks in the country, Rocky Mountain National Park welcomes 3.4 million visitors each year and still manages to nurture cravings for solitude. Daybreak is the best time to explore the park’s stunning see-through lakes, sweeping meadows and dew-spritzed forests. The park's eastern entrance is in the town of Estes Park. Take a drive on Trail Ridge Road, the highest paved through-road in North America. This rollercoaster route crosses the Continental Divide and offers breathtaking photo ops as you climb past subalpine forests and windswept tundra to 12,183 feet above sea level. Or enjoy a family wildflower hike to Gem Lake or Bridal Veil Falls. For a little more challenge, try the 2.8-mile Mills Lake trek. You’ll be rewarded with grand views of 14,259-foot-tall Longs Peak and the Keyboard of the Winds, a whimsical rock formation named for its shape. Pull over at Moraine Park for prime wildlife watching. More than 3,000 elk and 800 bighorn sheep live in the park, and this U-shaped valley is a regular gathering spot for bugling elk. Inside the park, the Rocky Mountain Conservancy offers year-round seminars, guided fly-fishing, naturalist tours, hiking and photography classes. Estes Park and surrounding Rocky Mountain National Park are also superior birding spots, with more than 315 species to be seen. Grab your binoculars for a self-guided exploration of Matthews-Reeser Bird Sanctuary, or opt for a ranger-led bird walk within the national park. At the Open Air Adventure Park, rope bridges, aerial tightropes and swinging logs challenge folks 5 years old and up. Kent Mountain Adventure Center, the first outfitter in the US to offer breathtaking (literally) cliff-camping excursions, has activities like a kids mountaineering camp, a New Year's Eve Longs Peak trek, backcountry ski classes/guiding, and a year-round “snow-climbing school.” Or, get above it all in a different way at Estes Park’s own Jurassic Park. This climbing area just south of town features rock outcroppings, slabs and routes that make for a perfect outing. Estes Park is the gateway into the national park, but it’s also a destination unto itself. Stop by The Barrel, a seasonal alfresco beer garden, and window-shop along Elkhorn Ave., Estes' bustling main thoroughfare. Filled with one-of-a-kind stores, several fine restaurants and plenty of places for an afternoon snack, the area is just steps from the park’s eastern entrance. Stop for coffee and sit outside on the Riverwalk. One block off Elkhorn, the beautifully landscaped path follows the Big Thompson River as it flows through town and hosts street performers in the summer. Take the path east for a tranquil walk around Lake Estes, or stop at the marina to rent bikes, pontoon boats or kayaks. Then, enjoy a glass of wine inside Snowy Peak Winery’s newly expanded tasting room, the new Elkins Distilling Company, Rock Cut Brewing or Lumpy Ridge Brewing Co., a former gas station with a scenic beer garden and new brews on tap regularly. Or stop into Via Bicycle Cafe, part cycling shop and hangout, part coffee-nerd hot spot. Or ride 1,100 feet up the side of Prospect Mountain on the Aerial Tramway for fantastic views of Estes and the surrounding peaks. Wind down with dinner at the storied Stanley Hotel. The elegant 109-year-old, white-pillared landmark sits on a hill overlooking downtown Estes Park. Guided tours take you through an underground tunnel and reveal how Stephen King was inspired to write The Shining while staying in room 217. Stop by the beautifully crafted antique Cascades Whiskey Bar to choose from 250 different wine labels and the largest whiskey collection in the state. Newer to the town's dining scene, the farm-to-table cuisine from Seasoned – An American Bistro and Bird & Jim’s artisan approach have locals raving. Or, liven things up at Lazy B Chuckwagon & Supper Show, where a crowd-pleasing, cowboy-style chuckwagon dinner is followed by a Western musical stage show. 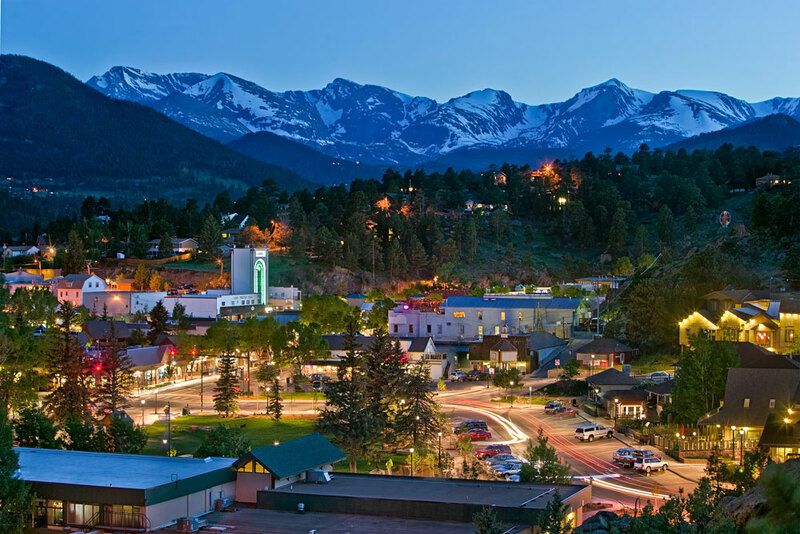 From extreme sports such as ice climbing and backcountry split-boarding to more relaxed activities like snowshoeing and curling up by the fire, Estes Park also caters to winter visitors. It’s easy to get there year-round and offers an alternative to the bustling ski resorts. Watch a video on exploring Rocky Mountain National Park on horseback. Photos: Courtesy of the Estes Park Convention & Visitors Bureau.